APES in a Box: Soil Pyramid - Video Notes - AP Environmental Science! The inorganic portion of soil is made up of particles of varying size including gravel, sand, silt, and clay. Soil Scientists use the approximate ratio of sand, silt, and clay to categorize soils and give them their names. 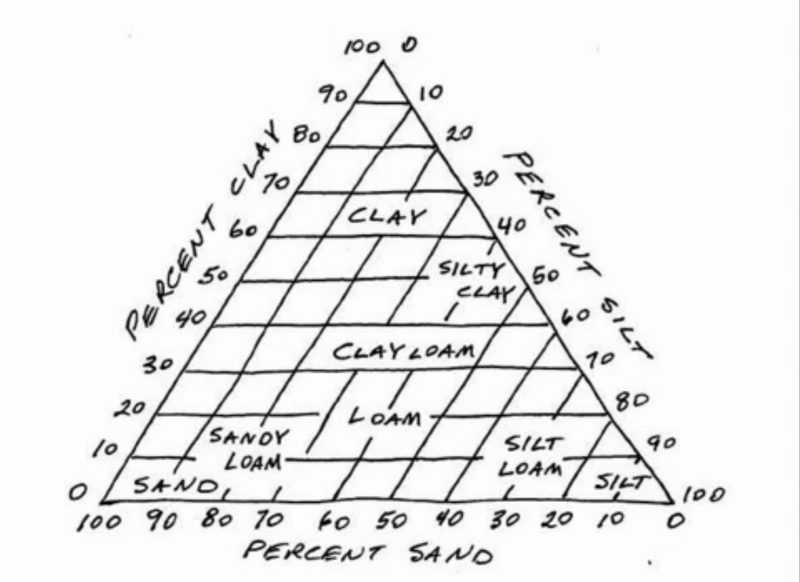 A soil triangle is a tool that can be used to determine the name of a soil if the percentages of sand, silt and clay are known.